John Nevin snr (1808-1887) was born at Grey Abbey, Ireland and served with the Royal Scots 1st Regiment of Foot in the West Indies from 1825 to 1838. He then served at the Canadian Rebellions from 1839 until 1841 when he was invalided out to the hospital at Chelsea, England, and thence to Ireland. He married Mary Ann Dickson, pursued the vocation of gardener in his wife’s brother’s business, Alexander Dickson’s nurseries at Newtonards, taught school, and contributed to journals with surveyor John Hurst, proprietor of the Freeman newspaper. By the time he arrived in Tasmania in 1852 as a free settler, he had become the father of four children. His eldest, Thomas James Nevin (1842-1923) who became a professional photographer in Hobart from the 1860s, survived all members of this immediate family group, including his wife Elizabeth Rachel Day, dying in his 81st year, his beard still red, his eyes still clear, according to his grandchildren. Their grandfather John Nevin snr had arrived in Hobart, Tasmania, as a pensioner guard on board the convict transport, Fairlie, in 1852 with his wife Mary Ann Nevin nee Dickson and their four children – Thomas James, Mary Ann, Rebecca Jane and William John, all under 12 years old . He was granted a parcel of land in 1859 in the shire of Buckingham, near Cradoc, in the Parish of Bedford, on the Huon River. 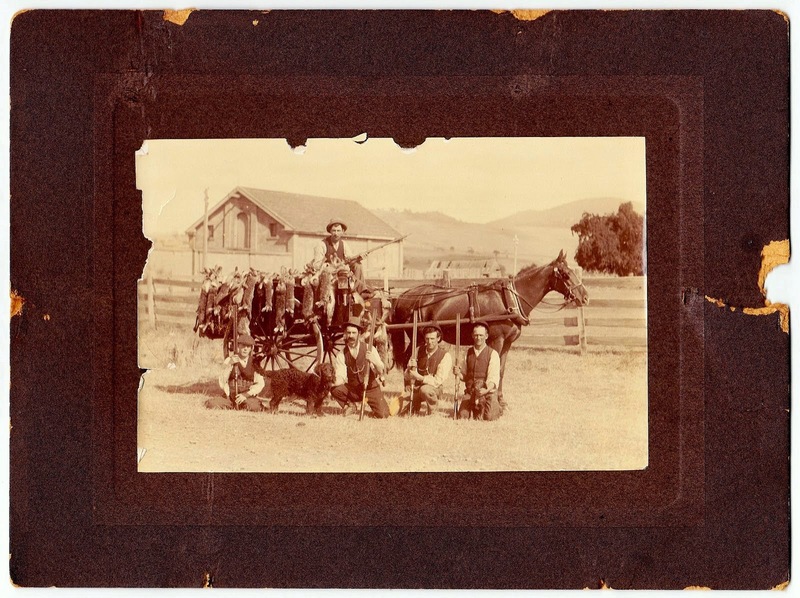 Although John Nevin snr was able to settle his wife and their four children who had all arrived with him in 1852 on the land grant in the shire of Buckingham, he settled them instead on land granted to Dr. E.S.P. 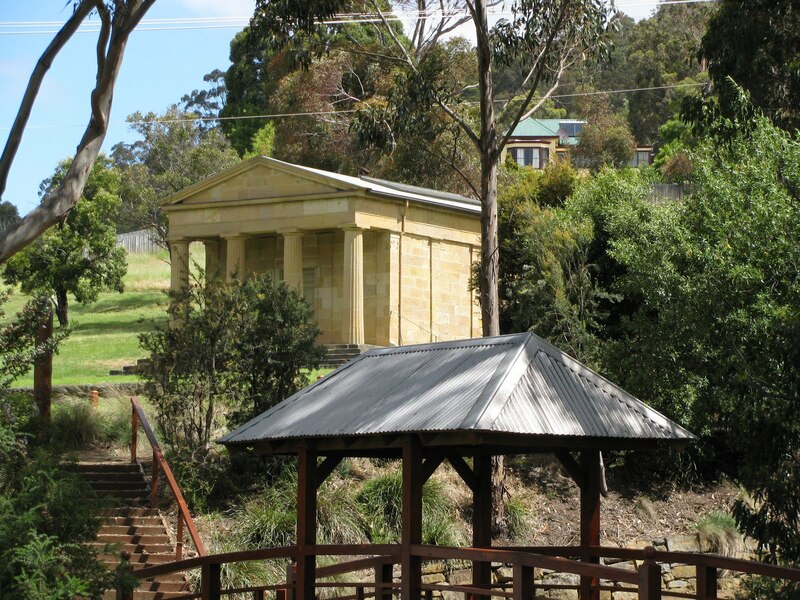 Bedford situated just above the Lady Franklin Museum at Kangaroo Valley (now Lenah Valley, Hobart). 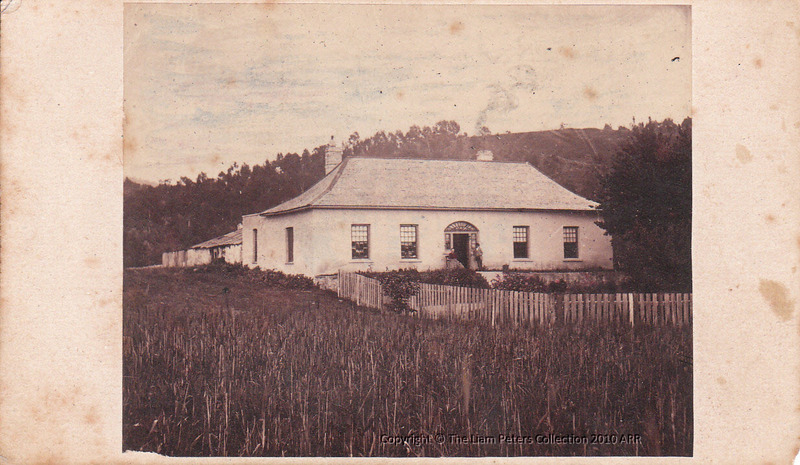 He was employed by the Trustees of the Wesleyan Church to teach school at Kangaroo Valley, and granted permission to use the one acre of land on which to establish orchards and build a house. 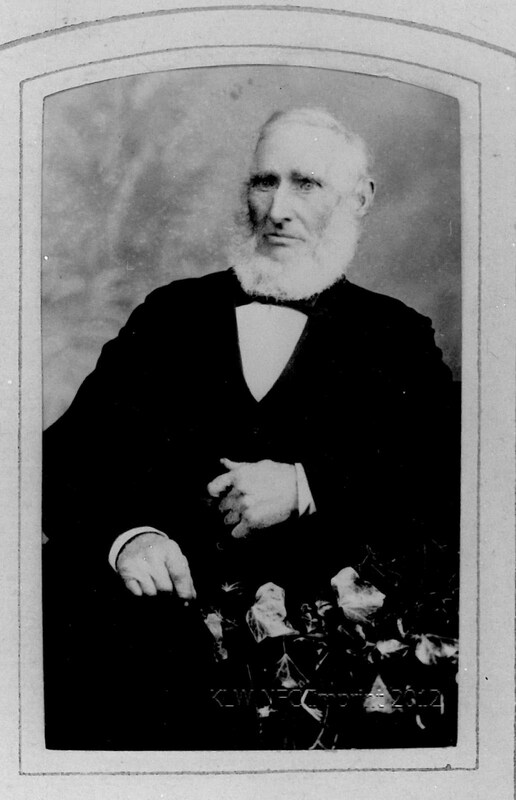 John Nevin snr resided at Kangaroo Valley until his death in 1887, firstly with his wife Mary Ann Dickson and young family, and four years after her death in 1875, with his second wife Martha Nevin nee Genge and his grandchild Minnie Carr. 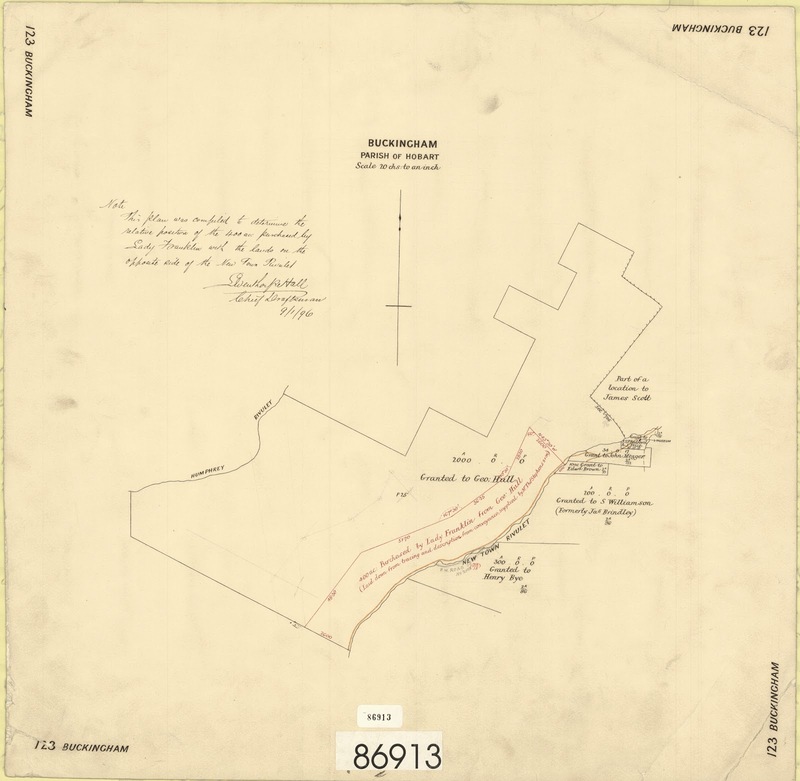 Detail of map below; location of the Lady Franklin Museum within the 10 acre land grant of E.S.P. Bedford and J. Price. 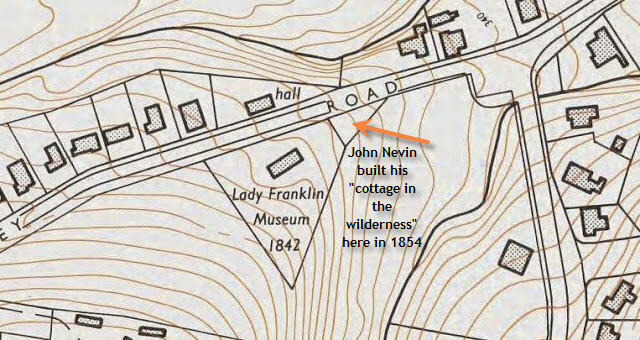 John Nevin snr was granted the lease of the Wesleyan Chapel, the school house and land on which to build his cottage in 1854. 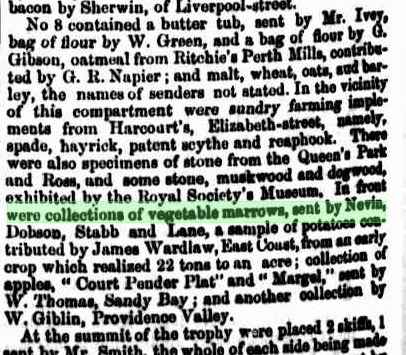 By 1872, John Nevin had leased an additional acre of land nearby for gardens and orchards from Maria Nairn, wife of William Edward Nairn (1812-1869), assistant comptroller of the Convict Department in 1843, in charge of prisoners in Tasmania and on Norfolk Island, and sheriff of Hobart in 1857-68. His wife Maria Nairn was a sister of John Swan, Inspector of Police in the 1870s. The record (above) shows that John Nevin snr, schoolmaster at Kangaroo Valley, Hobart, Tasmania, paid £5 (five pounds) for a family ticket of 2 [?] individuals on 11th July 1854. These tickets may have been issued for any number of purposes: payment for John Nevin’s return to Tasmania from his unhappy venture at the Californian gold mines; payment for the arrival or departure of family members to or from intercolonial ports; or payment for the assisted passage of teachers’ assistants, servants etc for the school at Kangaroo Valley. John Nevin snr remarried in 1879, four years after the death of his wife Mary Ann Nevin nee Dickson, to widow Martha Salter nee Genge, daughter of his friend, William Genge,lay preacher at the Wesleyan Church in Melville Street, Hobart . With his second wife Martha Nevin nee Genge, he adopted his grand-daughter, Minnie Carr, daughter of his daughter Mary Ann Carr nee Nevin, who died days after giving birth to her in 1878 at Sandridge, Victoria. and brought her to the house at Kangaroo Valley in 1879 where she resided until his death there in 1887. His widow Martha Nevin and granddaughter Minnie Carr then moved to Patrick Street, North Hobart, where Minnie, just 20 years old, died suddenly of gastric poisoning and haemorrhage in 1898. 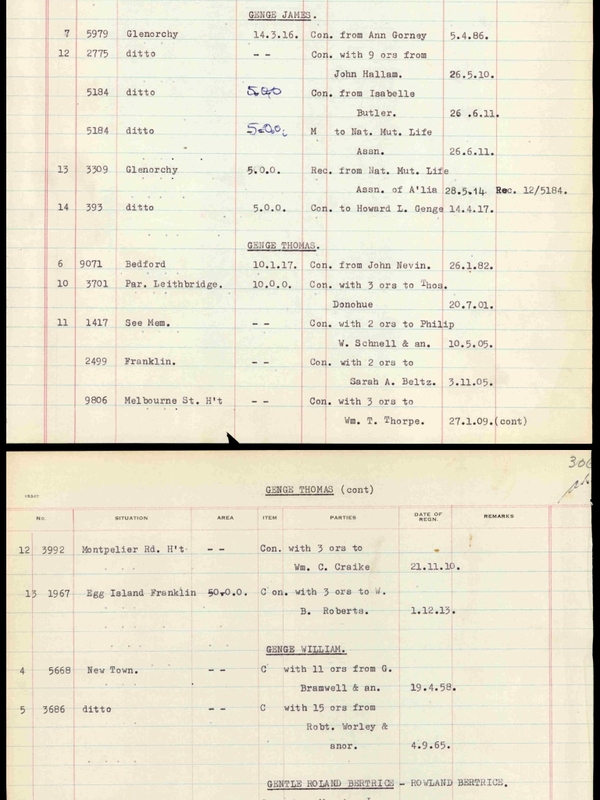 In 1859, John Nevin snr was granted ten acres one rood and seventeen perches in the parish of Bedford on the Huon River near Cygnet, about 60 kms south west of Hobart, but it appears he never moved his family from Kangaroo Valley to take up permanent residence on the grant. He may have used the land, however, to cultivate orchards, grow vegetables, and make jam for export. In 1870 he exhibited marrows at the Industrial Bazaar at the Hobart Town Hall. His eldest son Thomas Nevin exhibited photographs as well. In 1873 he presented an exhibit of peat to a meeting of the Royal Society of Tasmania, and in 1877, he exported jam on the Southern Cross to the colony of Victoria. The peat may have been extracted from Kangaroo Valley, known originally as Sassafras Gully in the 1840s, a valley rich with the type of flora that grows as ‘wet’ and/or mixed forest in Tasmania. 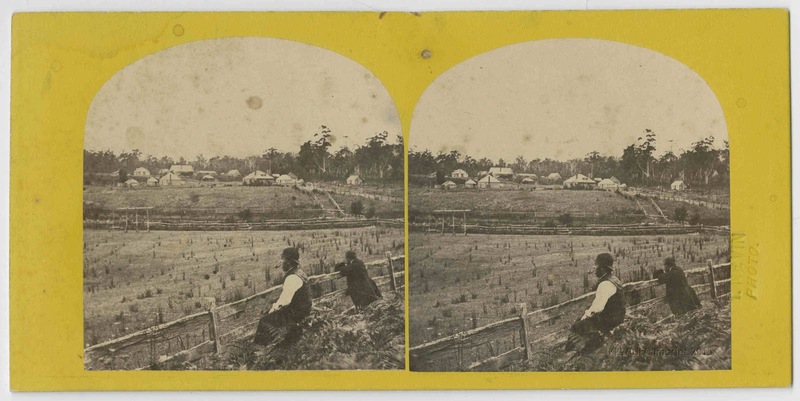 In 1891, the orchards on the land leased from Maria Nairn at Kangaroo Valley may have produced fruit in quantities large enough that John Nevin’s sons Thomas and Jack, may have attempted mechanised packing. 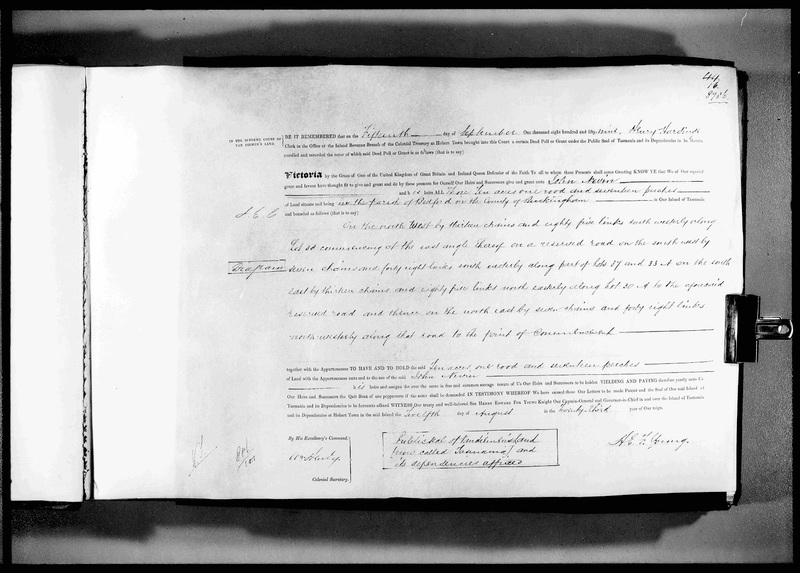 Their application for a patent of their fruit packer was tabled by the Hobart Fruit Board in June 1891. The Mercury newspaper recorded the opening of the Bazaar in a detailed report on 31st March, 1870. Exhibited on the same Table 8 as John Nevin’s marrows were apples from his neighbour W. R. Giblin, Attorney-General, President of the Working Men’s Institute and the Nevin family ‘s solicitor. No 8 contained a butter tub, sent by Mr. Ivey, bag of flour by W. Green, and a bag of flour by G.Gibson, oatmeal from Ritchie’s Perth Mills, contributed by G. R. Napier ; and malt, wheat, oats, and barley, the names of senders not stated. In the vicinity of this compartment were sundry farming implements from Harcourt’s, Elizabeth-street, namely, spade, hayrick, patent scythe and reaphook.There were also specimens of stone from the Queen’s Park and Ross, and some stone, muskwood and dogwood exhibited by the Royal Society’s Museum. 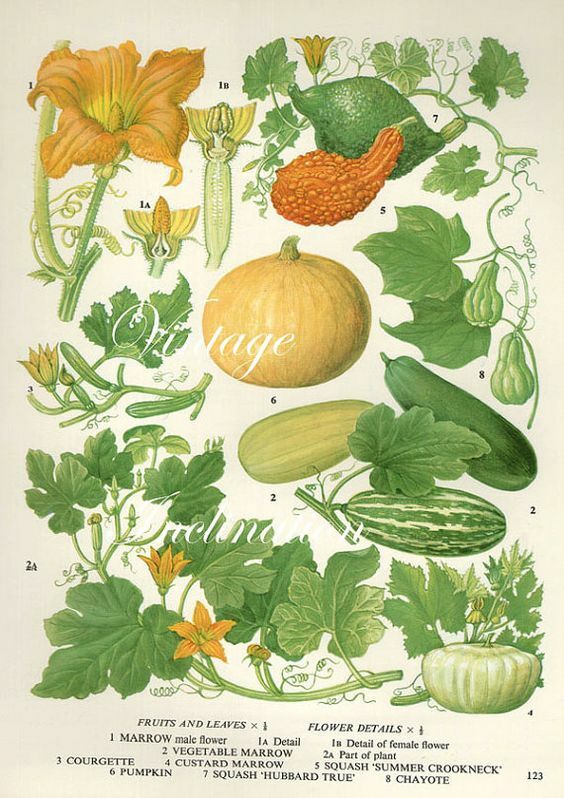 In front were collections of vegetable marrows, sent by Nevin, Dobson, Stabb and Lane, a sample of potatoes contributed by James Wardlaw, East Coast, from an early crop which realized 22 tons to an acre; collection of apples, “Court Pender Plat” and ” Margal,” sent by W. Thomas, Sandy Bay ; and another collection by W. Giblin, Providence Valley. 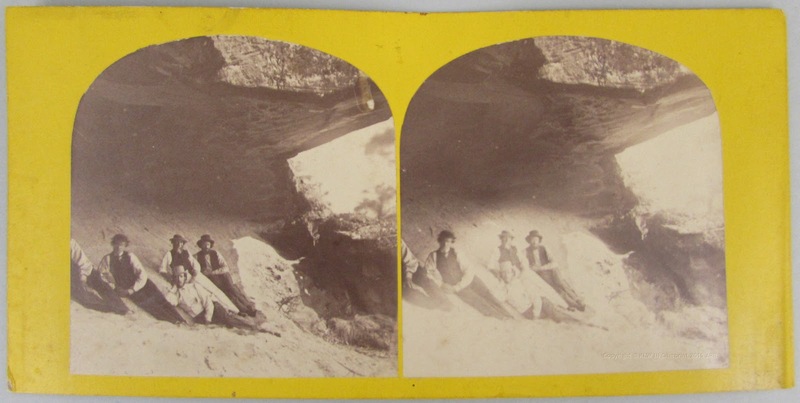 There are also photographs and stereoscopic views by Mr. Nevin. A velocipede of approved construction is exhibited near, the platform, but the name of the exhibitor is not given. Source: The Mercury (Hobart, Tas. : 1860 – 1954) Fri 1 Apr 1870 Page 2 INDUSTRIAL BAZAAR AT THE TOWN HALL. From Mr. Nevin – A piece of Turf, or peat, used for fuel in Ireland. The monthly evening meeting of the Society was held on Tuesday, the 12th August, the Right Rev. Bishop Bromby, D.D., in the chair. 1. From Mr. J. AVatson, Muddy Plains-A musk duck (ñiz’mra lobato). 2. From Mr. Aldred-A Nankeen night heron (Nyctkorax caledon kits). 3. From Dr. Huston-A ” native companion,” or Australian crane (Gnu auntralasianvs). 4. From Mr. Hissey-Two shells (Haliotis sp). A silver pheasant, prepared and mounted. 5. From Mr. T. Askdl, Brighton-A swamp parakeet (Pezoporm forinosns). (Dasijurus v’werrimis) from the pouch. 7. From Miss Castray-Alga! and corallincB, from Port Arthur, dried and piessed. 10. From Mr. Nevin-A piece of turf, or peat,used for fuel in Ireland. 11. From Mr. Mason-A fish, from Shipwright’s Point, Huon. 12. From Messrs. Cawthorn Bros., Macquarie Plains-A lamb with eight legs. Two mountain thrushes (Oreocincla Ittnulata). 13. From Mr. R. M. Johnston. A collection of fossils, from near Launceston. 14. From Mr. S. H AVintle. A number of mineralogical specimens from various parts of the colony. Accompanying them was an “analysis” of a specimen of mineral incrustation from the inside of a boiler supplied by well- water during a period of three years -from ‘ the estate of J. Todd, Esq., Blue Hills. A specimen of coal of a peculiar character from Rostrevor, Spring Bay, was exhibited by the Archdeacon. On testing, it was found to be incombustible. In appearance it resembled lignite,and contained no trace of bitumen. 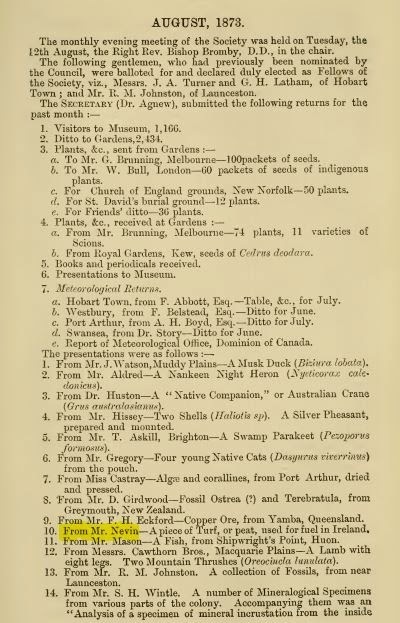 The Bishop brought forward some specimens of iron ore, from Mount Pleasant, Swansea ; and Mr. Allport exhibited a collection of tin ore from Mount Bischoff. Southern Cross, for Melbourne-3 pkgs luggage, 1 es fruit, Murray ; 1 prcl, Count de ¿aba ; 1 prcl, J. Sly ; 1 cs fruit, W. Crosby and Co.; 1 cs fruit, Rev. It. D. Harris ; 1 bx, Lewis and Son ; 1 pkg, Blyth ; 2 bxs birds, Jacobs ; 1 prcl, 1 cs fruit, Walch and Sons ; 2 preis. Rev. W. W. Spicer ; 1 cs jam, J. Latham ; 1 prcl, U. Bank ; 1 cs fruit, Miss Webb ; 12 csks oil, 15 pkgs merchandise, A. McGregor ; 37 bis wool, 1 bg bacon, 1 pc machinery, A. G. Webster ; 12 csks black oil, I. Wright ; 50 ess jam, Geo. Peacock ; 2 csks ale, Degraves ; 1 es, Cole and Co. ; 42 cwt. ‘ willows, Bridges ; 1 cs bats, Bidencope ; 1 cs jam, J. Nevin ; 1 trnk boots, Blundstone ; 3 pkgs copper, Clarke ; 10,000 palings, T.S.N. Co. ; 1 tra drapery, J. W. Woolley ; 2 csks fruit, Creswell ; 1 ort tish, Barnett ; 2 ess birds, Ray ; 20 ess preserved fruit, C ess fruit, Johnson Bros.; 30 ess fruit, J, Milliken; 27 ess fruit, J. Osborne ; 34 ess fruit, W. Connor ; 40 ess fruit, W. Ikiu ; 9 ess fruit, J. Ikiu ; G ess fruit, 0. E Knight ; 2 ess jam, Hollinsdale ; 4 cages birds, Ornant ; 3 horses, %i’eng;3 horses, Lang; 1 horse, Goyder; 1 horse, JDi$n. HOBART FRUIT BOARD.- This board met last evening, all members being present. Minutes of former meeting were read and confirmed. Correspondence was also read and dealt with. The chairman was instructed to insert notices in the papers, drawing attention of orchardists to the necessity of removing and cleansing all bandages on or before July 1 next. The annual fruit growers’ roll, prepared by the chairman, was laid on the table for inspection. 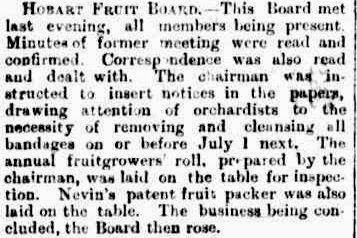 Nevin’s patent fruit packer was also laid on the table. The business being concluded, the Board then rose. Together with the Appurtenances TO HAVE AND TO HOLD the said Ten acres one rood and seventeen perches of Land with the Appurtenances unto and to the use of the said John Nevin his heirs and assigns for ever the same in free and common socage tenure of Us Our Heirs and Successors to be holden YIELDING AND PAYING therefore yearly unto US Our Heirs and Successors the Quit Rent of one peppercorn if the same shall be demanded IN TESTIMONY WHEREOF We have caused these Our Letters to be made Patent and the Seal of Our said Island of Tasmania and its Dependencies to be hereunto affixed WITNESS Our trusty and well-beloved SIR HENRY EDWARD FOX YOUNG KNIGHT Our Captain-General and Governor-in-Chief in and over the Island of Tasmania and its Dependencies at Hobart Town in the said Island the Twelfth day of August in the Twenty-third year of Our reign. 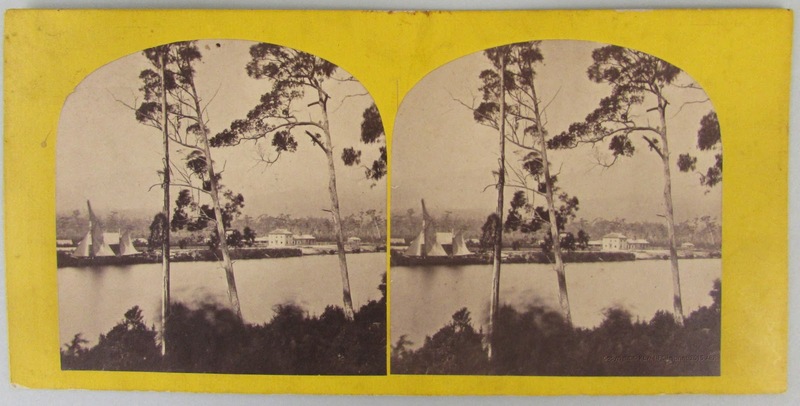 Thomas Nevin photographed the area around the Huon in the 1860s, and acted as a guide to the Salt Caves near the town of Victoria for surveyors, providing the Lands and Survey Department with photographs of the area on commission. 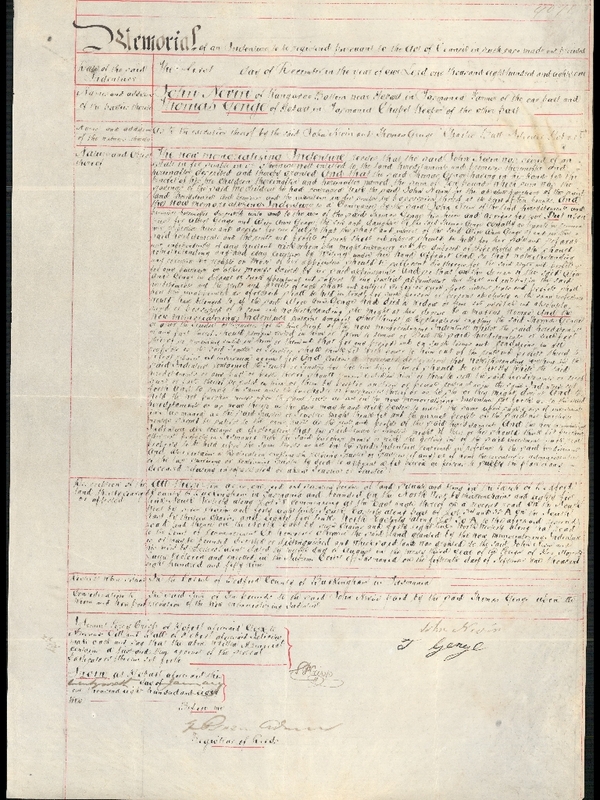 Did John Nevin’s two sons inherit the original land grant at Cradoc and Port Cygnet on his death in 1887? Apparently not. Five years before John Nevin snr died in 1887, he sold the whole ten acres (10 acres, 1 rood, 17 perches) of his land granted in 1859 at Cygnet to Thomas Genge. The sale was registered on the 26th January 1882 for £10 (ten pounds). Thomas Genge was a successor ( a son or nephew perhaps) of John Nevin’s close friend and fellow Wesleyan, William Genge (1808-1881), Chapel keeper, sexton and stonemason who had died aged 73 yrs,on 16th January 1881, one year previously. John Nevin wrote a lament on William Genge’s death titled “Lines written on the sudden and much lamented death of Mr William Genge who died at the Wesleyan Chapel, Melville-street, Hobart on the morning of 17th January 1881, in the 73rd year of his age.“. 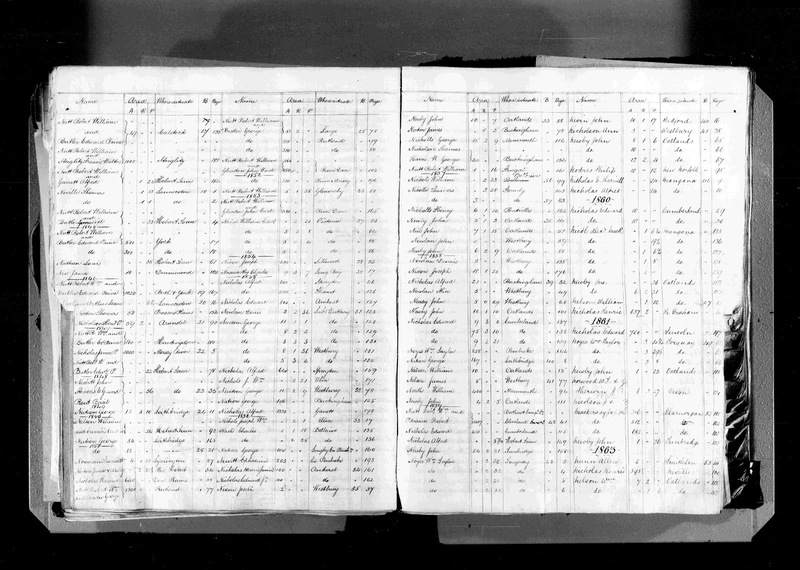 William Genge was also John Nevin’s father-in-law, despite both men being born in 1808. 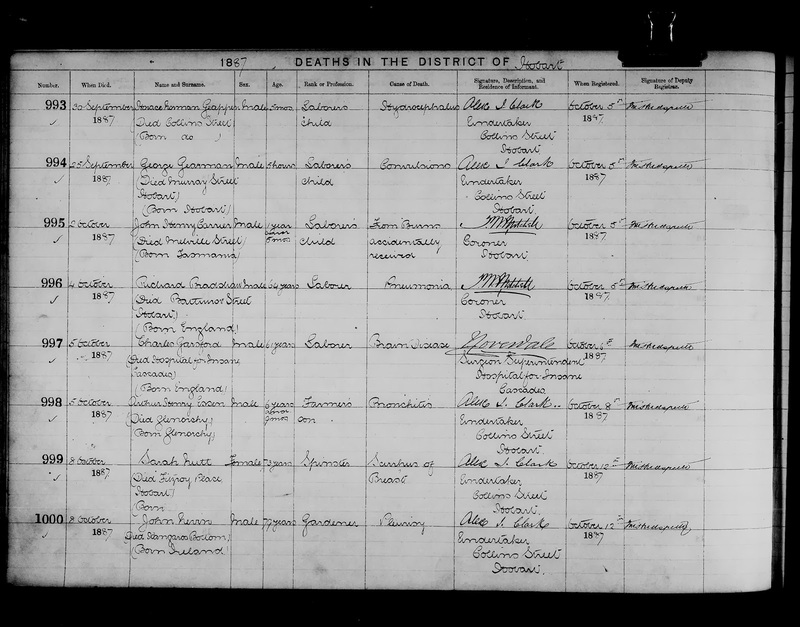 He was 71 yrs old in 1879 when he married widow Martha Salter nee Genge, William Genge’s daughter, who was 46 years old. They married just four years after the death in 1875 of John Nevin’s wife Mary Ann Nevin nee Dickson, mother of his two surviving children, photographer Thomas James Nevin and Constable John (William John aka Jack) Nevin. One reason for the marriage was the desire on John Nevin’s part to provide a maternal presence for his grandchild Mary Ann (aka Minnie) Carr, daughter of his own daughter Mary Ann Carr nee Nevin who died in 1878 with weeks of giving birth at Sandridge Victoria. John Nevin brought his grand daughter back to Kangaroo Valley, near Hobart Tasmania, and raised her until his death. She then moved to 76 Patrick Street with her step-grandmother Martha Nevin nee Genge but died of gastric poisoning and haemorrhage in 1898. Martha Nevin (1833-1925) was most likely instrumental in suggesting the sale of John Nevin snr’s ten acres at Cygnet to her relative Thomas Genge, a farmer and neighbour at Kangaroo Valley. Just months after the death of William Genge in January 1881, Thomas Genge’s wife Annie Genge nee Brown (m. 1864) gave birth at Kangaroo Valley to a boy who lived just twelve hours. The informant was the midwife, Sarah Blatherwick, nurse of Kangaroo Valley, who registered the cause of death on 24th September 1881 as “premature birth”. 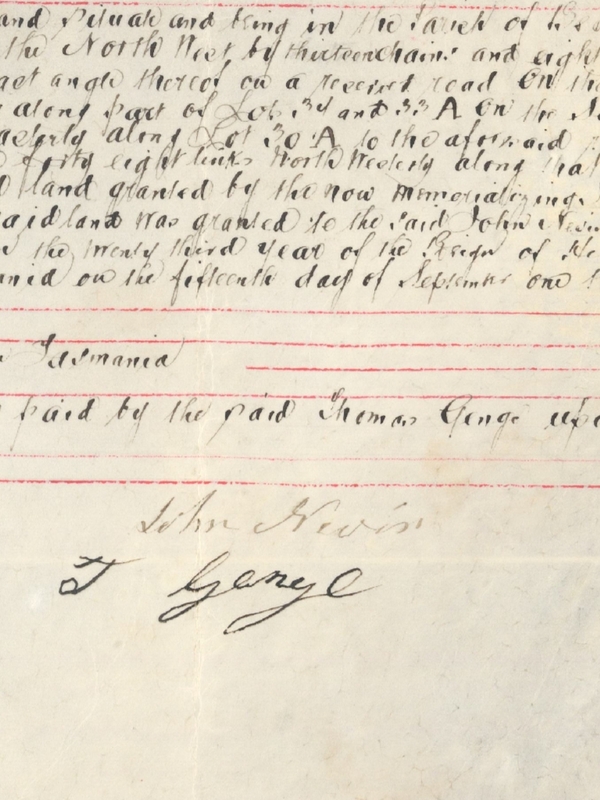 John and Martha Nevin arranged the sale of his ten acrres at Cygnet to the bereaved couple in January 1882, which was probably the wisest decision at the time as neither of John Nevin’s sons had shown any propensity for farming. Thomas Nevin’s fourth son, George Ernest Nevin (1880-1957), on the other hand, who was born at the Hobart Town Hall during his father’s residency as Keeper, purchased land at Penna, 20 kms north east of Hobart, near Richmond, and farmed potatoes, although neither he nor any of his siblings resided there. On the death of their father Thomas James Nevin snr from natural causes at Claremont House, 270 Elizabeth St. Hobart in 1923, George Nevin and four of his siblings – May, Thomas, William, and Albert – moved to 23 Newdegate Street, North Hobart. Thomas Nevin’s younger brother Constable John Nevin resided at H.M Prison, Campbell Street, Hobart until his untimely death from typhoid in 1891. FRESHLY DUG from my Penna Estate, limited quantity of New Potatoes, 10lb. for 1/-. Must bring own bags. Apply quickly, George Nevin, Potato Farmer, 63 [sic] Newdegate Street. The photograph in its original tattered cardboard frame. The verso is signed “George Nevn” [sic]. Copyright © KLW NFC Imprint 2009 ARR. Archer, J. (Joshua), active 1833-1866. 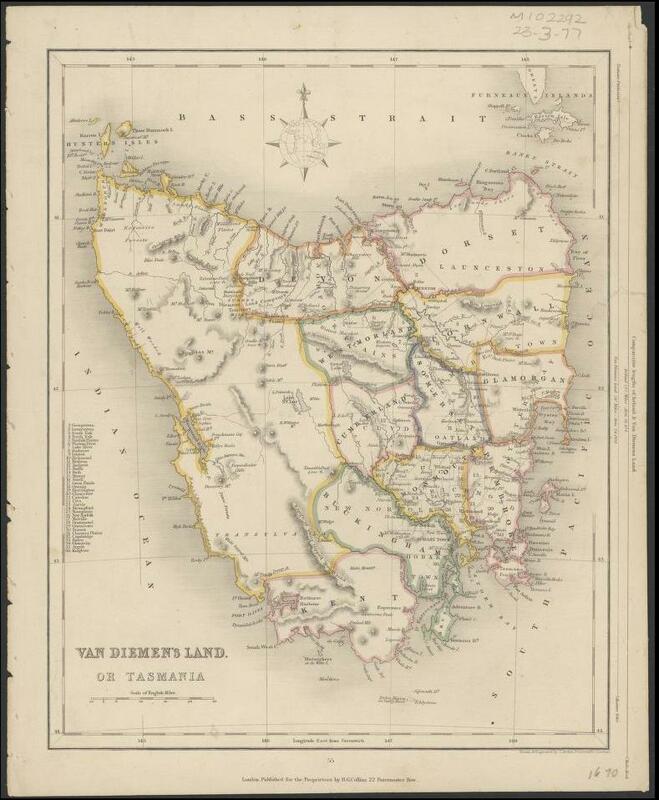 Title:Van Diemen’s Land or Tasmania [cartographic material] / drawn & engraved by J. Archer, Pentonville, London. Physical Description: 1 map ; 26.7 x 21.4 cm. 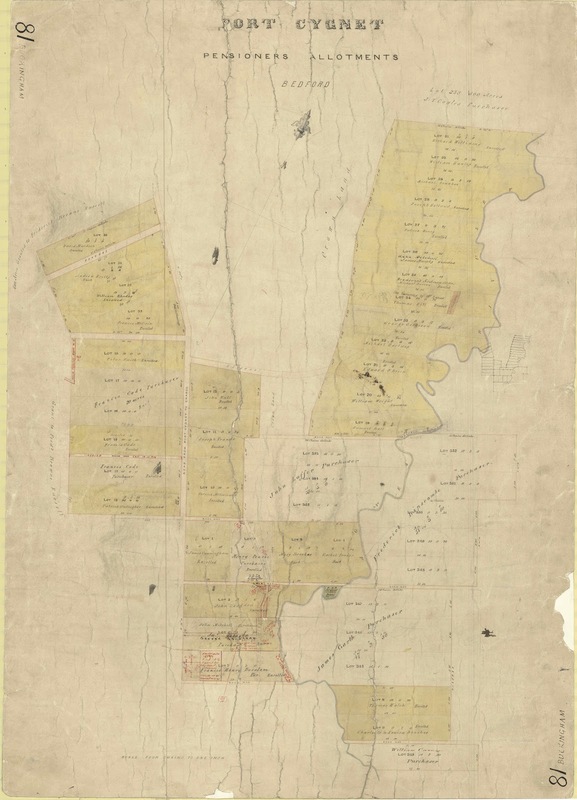 Notes:Map showing counties, districts and major land owners in Tasmania with relief shown by hachures. Probably plate 55 from: College atlas for schools and families. London : H.G. Collins, [1855?. Includes comparative lengths of Ireland and Van Diemen’s Land. Map has imprint: London : Published for the Proprietors by H.G. Collins, 22 Paternoster Row. Includes insignia of compass rose and sphere. Subjects: Counties — Tasmania — Maps. DEATH OF AN OLD VETERAN.- There passed away very quietly on Sunday, 9th inst., at the good old age of 79, Mr. John Nevin, who for the last 30 years has lived in the secluded shades of Kangaroo Valley, adjoining Lady Franklin’s old Museum. He lived a retired life on his pension and in working his plot of garden ground at the Wesleyan Chapel, enjoying the respect of all in the neighbourhood as a consistent Christian. His latter days were spent in quietness among his family, and he leaves a widow (a second wife) and two sons and several grandchildren in Hobart. Only a fortnight ago two friends of his, who were boys in the Royals, and had known him in Canada 50 years ago, paid him a visit, and a pleasant time was spent with him in recounting feats of valour long since almost forgotten. He was then enjoying good health, but last Wednesday, while working in his garden, he felt tired, and rested awhile on the damp ground, which caused a chill. He took to his bed, and, after three days’ sickness, quietly joined the majority. In his day he was a wielder of the pen as well as of the sword, and was some 50 years ago a contributor to the infant Press in London, Canada West, when the present city of that name was a struggling town of rough and rude buildings and log huts. As a soldier of the Royal Scots he served under his colonel, Sir G.A. Wetherall, and the present Sir Daniel Lyons [i.e. Lysons] was his ensign; and he did his duty in very stirring times in the Canadian Rebellion of 1837-1838. He was engaged in the storming and capture of St.Charles and St. Eustache and in engagements of St. Dennis, St. Benoit, and many other operations on the Richelieu River and adjacent country of Chambly, and at Terra-Bone [i.e. Terrebonne] he assisted in the capture of a large number of French prisoners during a severe winter campaign, often struggling with his comrades to the waist in snow in following his officers in the work of quelling the rebellion of Papineau. John Nevin’s proudest boast was that he had been a soldier of the Royals.